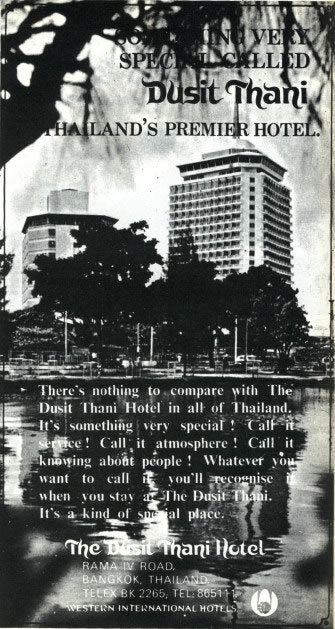 The Dusit Thani hotel opened in early 1970 and, at 82 metres, was one of the tallest buildings in Bangkok and certainly the tallest on Silom Road for several years. The Chokchai Building on Sukhumvit Road, which opened the year before as Bangkok's first high-rise office building, was only slightly taller. 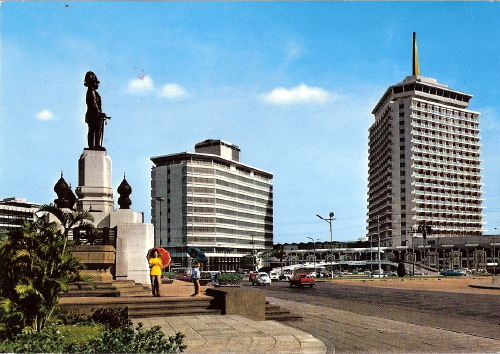 Construction of the hotel had begun in January 1967. It's top floor was, until the early nineties, the home of the Foreign Correspondents Club of Thailand. 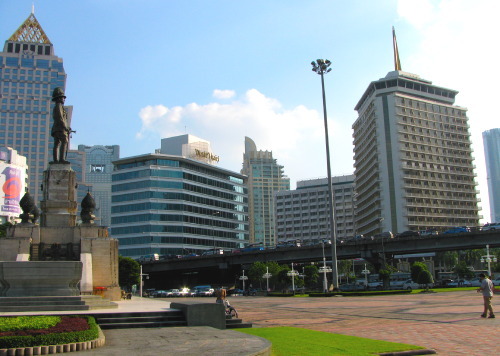 It remains as one of Bangkok's major landmark hotels. The Dusit Thani was the tallest building in the area until the late eighties, but the last two decades have seen considerable construction of office buildings and condominiums in the area of Silom, Sathorn and Rama 4 Road.